“Since August, the State Department of Education has flagged 46 percent of all Idaho public schools as needing improvement,” reports Clark Corbin. In total, “336 of Idaho’s 725 public schools and charters have been identified for improvement” under the state’s ESSA-inspired accountability system. KPVI News 6 reports that the state’s ESSA plan has been approved by the federal government. State Superintendent of Public Instruction Sherri Ybarra made the announcement on March 29 after receiving a “personal call” from U.S. Secretary of Education Betsy DeVos. Kevin Richert reports for Idaho EdNews that the state’s “controversial” and ESSA-inspired statewide student survey “is still on for this spring—but the state has switched its survey vendor.” The online survey will occur in April and May. The Idaho State Board of Education unanimously approved the state’s draft ESSA plan. Gov. Butch Otter will review the document for 30 days before final submission. The Idaho State Dept. 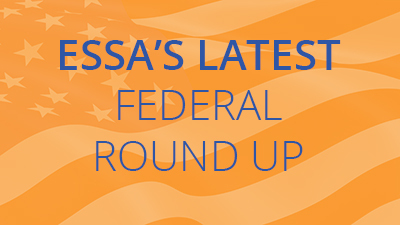 of Education announced it will submit an ESSA implementation plan in September. The State Board will review the plan in June and vote on final approval in August. Jeff Church, spokesman for the state Dept. of Education, indicated that Idaho is planning to release a draft of its state plan within the next few weeks. Education leaders will seek public input on that plan through November. The Dept. of Education announced they will form working groups focused on Idaho’s transition under ESSA. The groups will look at specific issue areas including migrant education, English learners, standards and assessment, accountability, educator effectiveness and others. Read more here.